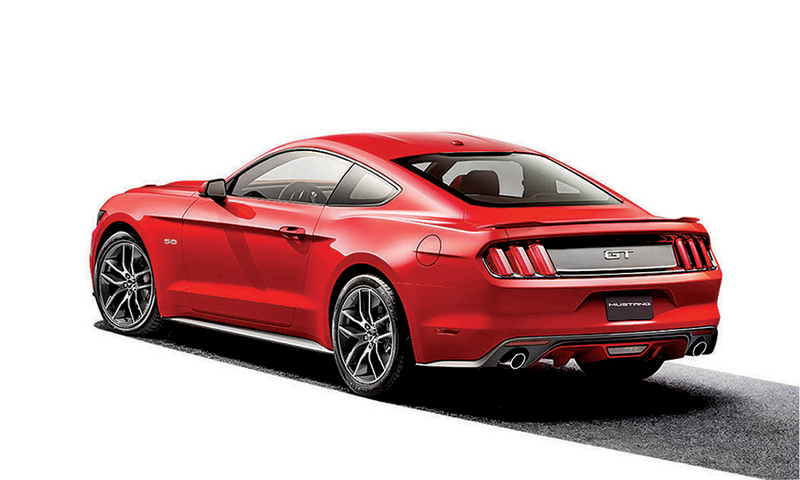 The Year in 2013 Photos: A look at the global launch of the 2015 Ford Mustang. 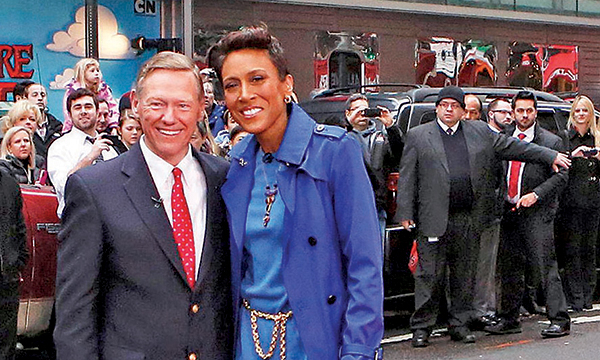 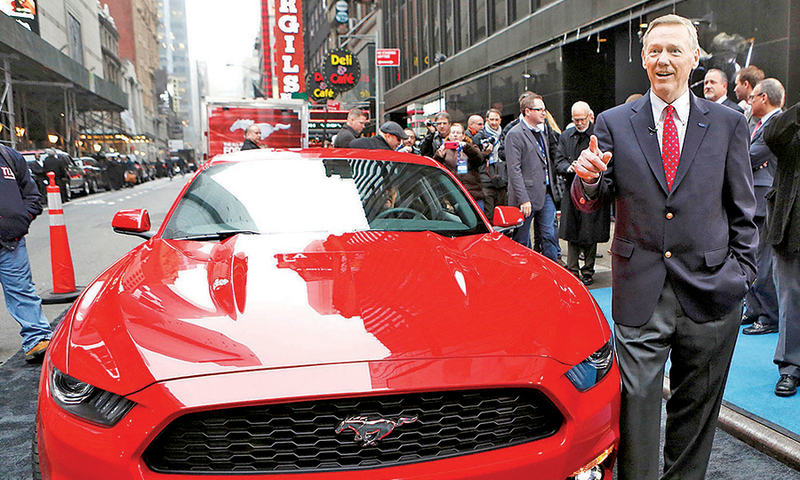 Ford CEO Alan Mulally in New York posed behind the wheel. 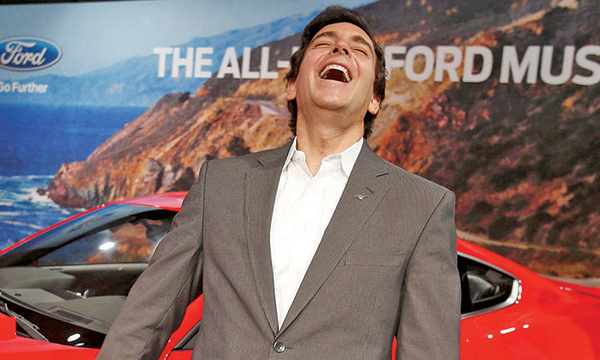 COO Mark Fields covered the home turf in Dearborn, Mich. 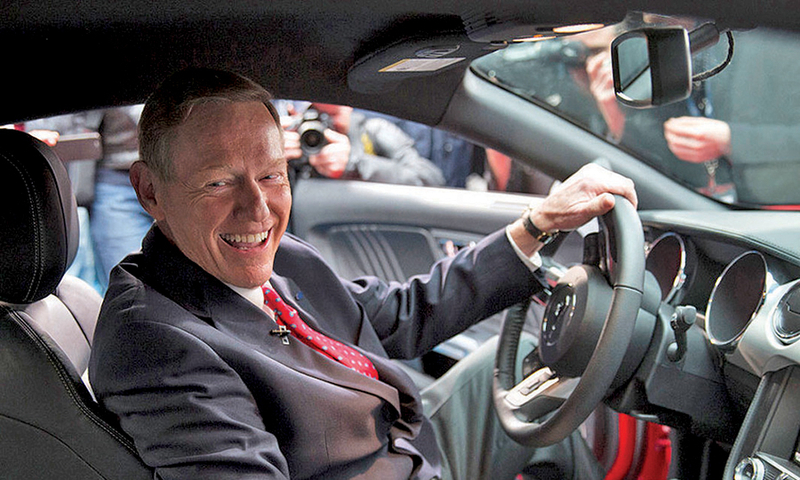 When asked if his latest comments should end investor concern about his departure, Mulally said, "You don't have to worry about me leaving," the AP reported. 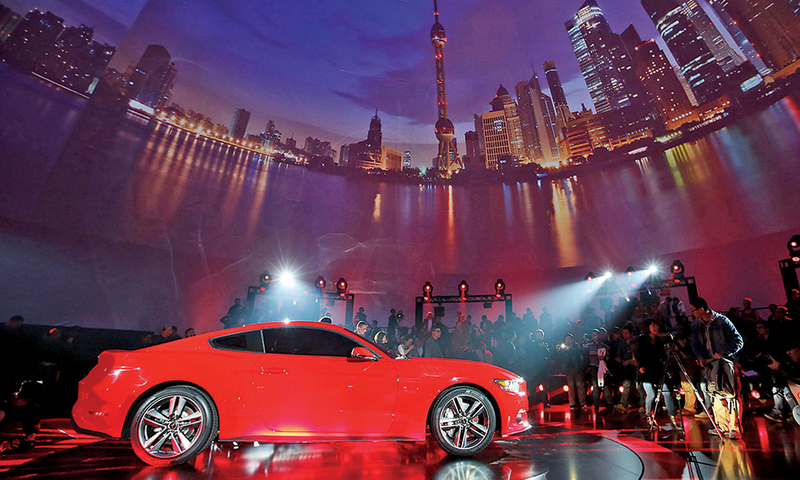 The 2015 Mustang comes out in Shanghai.